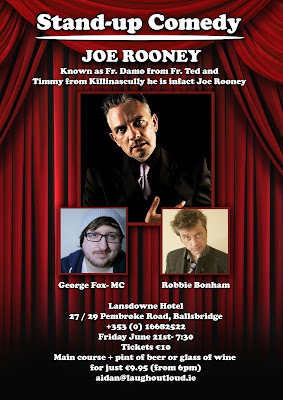 Lansdowne Hotel Comedy Night 21st June 2013 with Father Ted’s Joe Rooney, Tickets €10, Bar is open for food from 18:00, Show starts at 19:30. Comedy Special: €9.95 for Main Course + Pint or Glass of Wine. 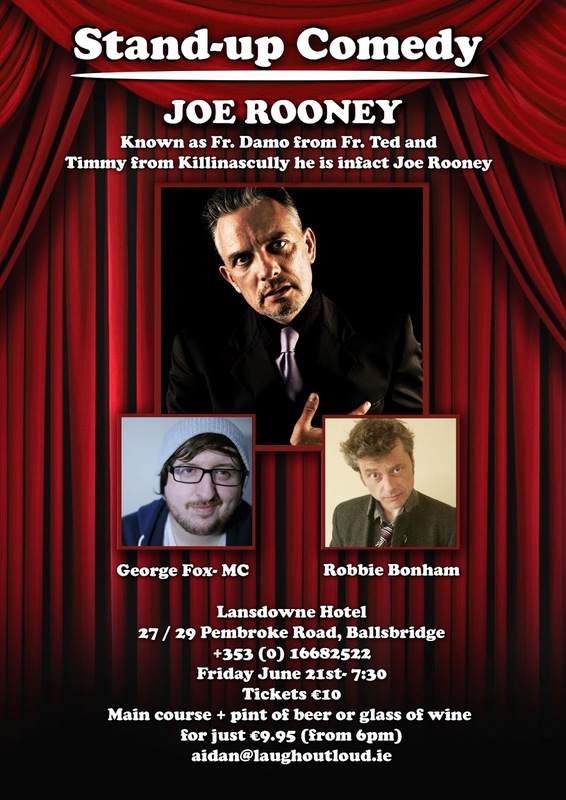 Tickets: €10 per-person and can be bought directly from the Lansdowne Hotel or from aidan@laughoutloud.ie. 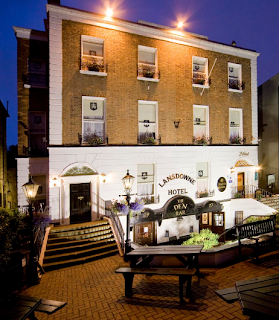 The Lansdowne Hotel has a long tradition of providing new and innovative entertainment for its guests and visitors. The recent Heineken Cup, Rabo Pro 12 Final, Amlin Challenge Cup seen the Lansdowne Hotel play host to thousands of Rugby fans who were treated to out-door BBQs, the Guinness Area 22 Team, Live music, and so much more. This ability to adapt to the needs of its patrons has made the Lansdowne Hotel a home from home for many thousands of repeat guests and patrons over the years. 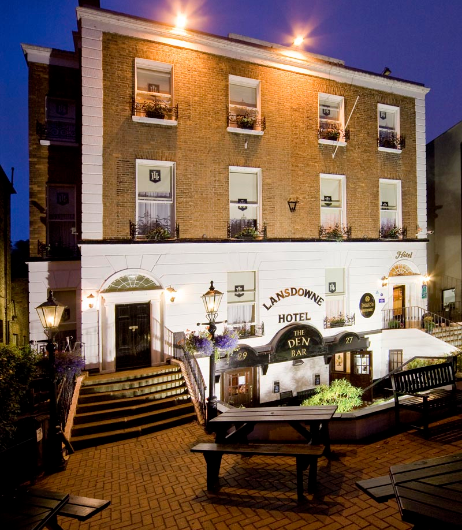 The Lansdowne Hotel is a family business headed by Helen, Michael and Frank Quinn, that family focus has allowed the Lansdowne Hotel to become much more than a place of business, it is a welcoming Oasis in an ancient city that plays host to both national and international guests and patrons. The Lansdowne Hotel delivers comfort, personal service and a welcoming hospitality, to all who walk through its doors. The Comedy Club is a new and refreshing addition to the entertainment calendar at the Lansdowne Hotel, it’s about lifting spirits and getting those Irish eyes smiling. Set in the heart of Georgian Dublin, we are just a short stroll from the Aviva Stadium, the RDS and Dublin city's main shopping and business district. Dublin is fast becoming one of Europe's favourite capital cities to visit - that blend of old and new that is apparent everywhere, the youthful vibrant population, the broad range of sights and services on offer and of course the friendliness of the locals, are all part of the appeal of Dublin. 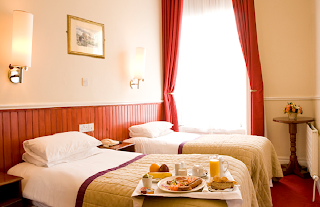 The Lansdowne Hotel is a small and friendly family owned Hotel with 40 en-suite bedrooms including two suites and two executive rooms. All rooms are tastefully designed, bright and spacious with warm furnishings to help insure our guests have a relaxing and restful night’s sleep. All rooms are equipped with hairdryers, cable TV, free wi-fi, direct dial telephone, tea/coffee making facilities, writing desk, table and chairs. Irons and ironing boards are available on request. Guests can choose from a variety of rooms. Double bedded rooms, single rooms, double and single bedded which are inter-connecting, and twin rooms. Celtic mouldings and fine tapestries from the Book of Kells adorn the walls. The imaginative use of specially designed lighting creates the perfect atmosphere. 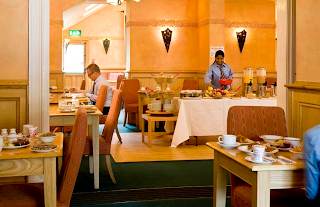 Druids Restaurant serves breakfast each morning Monday to Friday 7.30am to 10am. Breakfasts are cooked to order from fresh produce sourced daily. 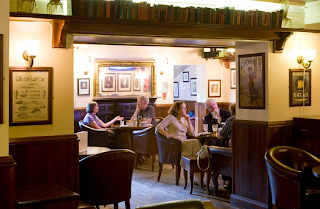 Downstairs at the Lansdowne Hotel Dublin you will find one of Dublin's finest drinking emporiums "The Den Bar". Relax and enjoy a drink of your choice or choose from our bar food menu while savouring the atmosphere of this exciting meeting place - popular with business people and tourists alike. 'The Den' features a unique collection of sports memorabilia of interest to sport enthusiasts particularly the rugby fraternity. We are proud to present the biggest rugby tie collection in the world. The Den Bar serves carvery lunch daily and for the late weekend risers we have brunch on Saturday's and Sunday's. Thursday have live music with the Thatched Cottage in the Bar and Traditional Musicians - Craic Agus Ceol. There is a FAB FRIDAY promotion running where the Carvery is €5.00. Served from 6 p.m. - 9 p.m.